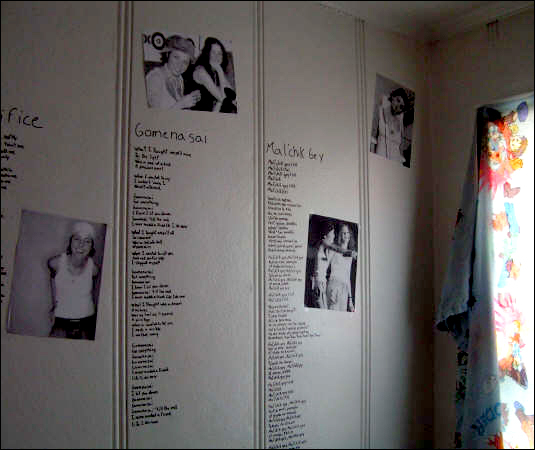 ... Idene Desbiens in whose room the walls are covered with t.A.T.u songs lyrics. If for some reason you didn't find your Fan Art in our collection, please, resend it after reading guidelines. We accept everything inspired by t.A.T.u. including but not limited to photos, graphcs, audio- and video-files. At the end of each month we are choosing the best work and award its author a gift from shop.tatu.ru - a t-shirt, a beanie and some nice little t.A.T.u. things.